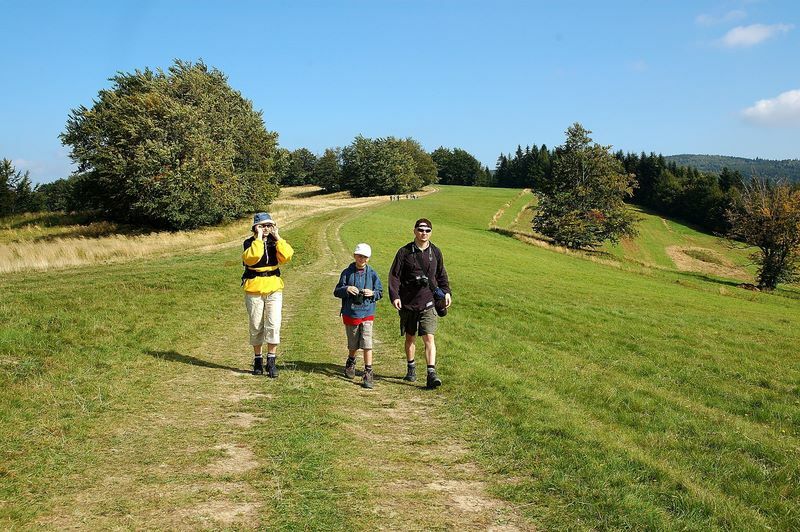 Undoubtedly, Krynica and its surroundings is an inexhaustible source of inspiration for short, recreational walks as well as for more serious hiking expeditions. Moreover, wide variety of attractions on offer will satiate tastes of not only keen walkers but also visitors having familial and educational aspects of their trips on mind. Because of a large number of marked tourist routes along with accessible shelters it should not be a problem to estimate the duration and the level of difficulty of an expedition. Moreover, what is commonly known, for this type of recreation no additional skills nor technical equipment is required. However, to cater for the needs of the most demanding tourists, there is Nordic Walking equipment on offer in the local rentals. So, there is nothing else to do but go to Krynica and see for oneself how wonderful views can be admired from the top of Jaworzyna, Góra Parkowa and many other, lower or higher situated hilltops.